When you're go, go, go, you need snacks that are going to keep up with you. Here are 5 healthy snack options for your busy lifestyle. My life is a constant go, go, go! There are days when I get very little sleep, and it's not because I don't want to sleep, but because there are deadlines that need to be met and I have to get them done. As a mother, sometimes it seems as though my day is never done, and there are never enough hours and minutes in the day. I try and eat as healthy as I can, but there are days when the junk food, meaning chocolate, cookies and chips get in the way. 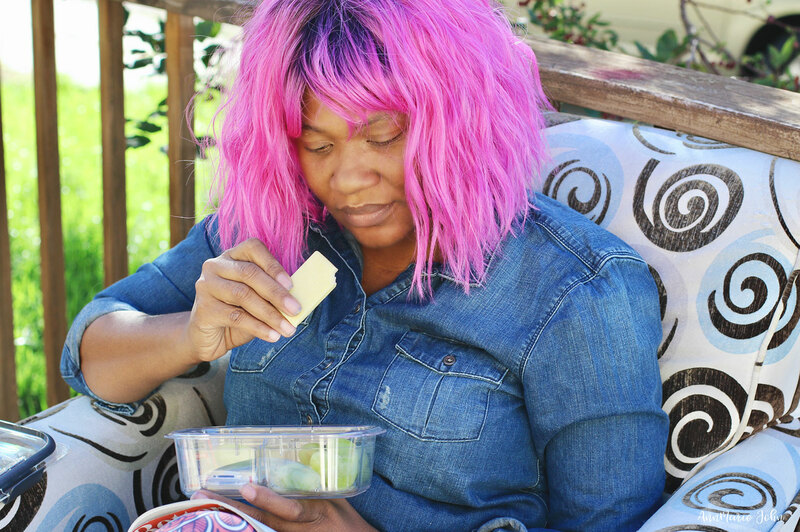 Lately, with me wanting to live a healthier lifestyle for not just me, but for my kids, I have been trying to eat a lot healthier and have been keeping healthier options on hand. So what are a few of my options. Today I want to share 5 with you and how I keep them all fresh and ready to go with the new Rubbermaid BRILLIANCE Salad & Snack Set. Cereal isn't just for kids. Since most cereals are fortified with essential vitamins and minerals, and are even high in fiber, these make for not only a yummy snack, but sometimes a flavorful one too. I just love the ones with added nut clusters. However, stay away from the very sugar cereals, you know which ones I'm taking about. Who doesn't love fruits? Toss a few fruits in a bag and you can snack on them all throughout the day. They're my go to whenever I want that bit of sugar, instead of eating candy. There are so many reasons to eat fruits, but you can also get your 2 daily servings of fruit this way by snacking. I personally love snacking on grapes with some added cheese. Speaking of cheese, cheese is also another healthy snack option. You can either do individually wrapped or string cheese. Who said that string cheese was just for kids? It's also a great source of protein and calcium. According to the food chart, you should have a 3 healthy serving of veggies daily. Carrots, broccoli, edamame, tomatoes and celery are just some healthy and safe options for you to eat raw. Together with a yogurt dip and you have a snacking option that is just good for you. Unless you have a nut allergy of course. Nuts such as almonds and walnuts, are generally rich in healthy fats thus allowing you to have that feeling of fullness for much longer, curbing your need to consistently snack between meals. They are also known to boost your good cholesterol, are a healthy servings of minerals and omega-3s, and are best when raw. How do you keep it all together and fresh? I use the new Rubbermaid BRILLIANCE Salad and Snack Set. 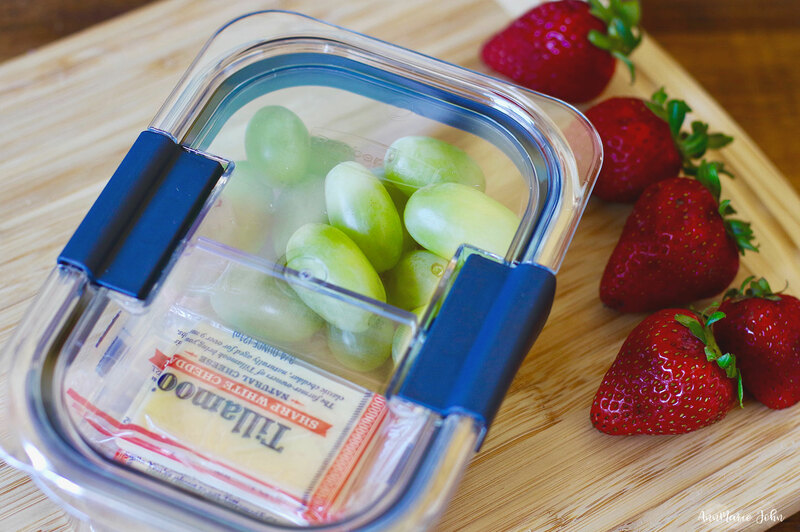 The new Rubbermaid BRILLIANCE is the perfect container for ready-to-go meals and snacks. It comes complete with customizable insert trays and dividers, which is perfect for those like me who would prefer to separate their food. It is the all-in-one solution for not only taking lunch on the go but great for snacks too. My favorite feature would have to be the salad container which I use for my veggies. It comes with a mini dressing container which includes a lid. I can place my dip in the container and keep my veggies in their separate compartment when its time to eat. 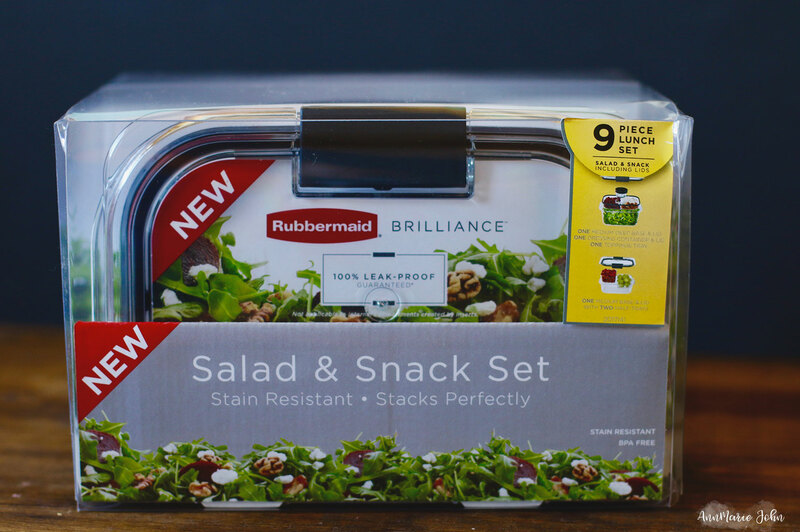 The new Rubbermaid BRILLIANCE Snack & Salad set is also 100% Leak-Proof Guaranteed*. The airtight latches keeps the container tightly secured with no leaks or messes. The ultra durable Tritan material keeps the container both stain and odor free and clean up is a breeze as it's dishwasher safe. Don't worry, since it's BPA free, you can also microwave and freeze your meals in the containers. They are very portable and I can totally see myself snacking so much more healthier. What about you? Those are awesome containers! I love that you can store different foods in there and keep them all separate. I love these options, I need a new container to invest in like these, I will be checking it out, and thanks for the tips! These are some great looking snacks! I've never seen these Rubbermaid containers before but will have to check them out! We are such snack twins! And my love for cereal knows no bounds. I am entering because this is Cassidy's dream Christmas present, no joke. Great ideas for the kids to take to school. I always want them to have fresh fruit and veggies and those containers are the best way to keep fresh and no leaks. My husband packs his lunch every day for work. I have a hard time finding containers that work right for him. These look awesome! Veggies would be a really good option for when I'm on the road. I need to start packing some veggies and cheese in these containers! Fruit and cheese sticks sometimes are my to-go snacks when running out the house. Cereal is a good snack too! These are great snack ideas! 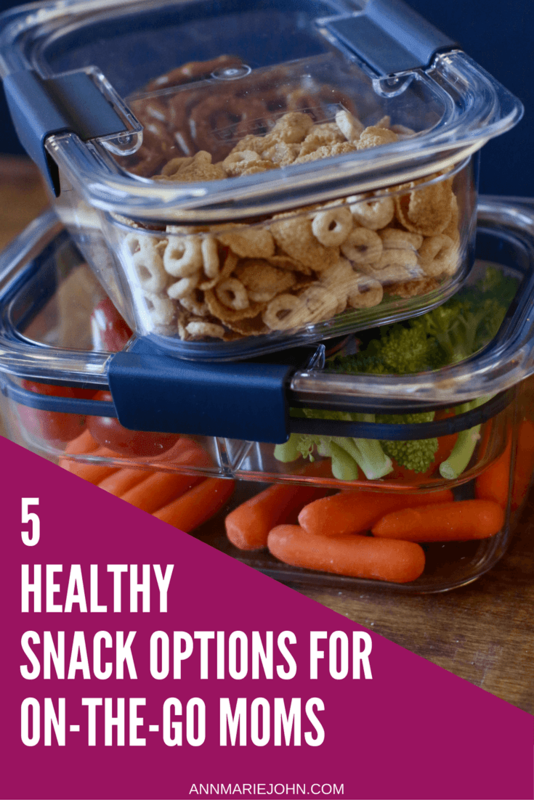 I am always looks for healthy snacks I can take on the go, and these Rubbermaid containers would be perfect for us! I like that it is BPA free too. That is always nice to know the products are use are safe. I love how convenient these Rubbermaid containers make it to snack healthy. I need to get some of these pronto. I love those containers. They make storing snacks so easy and convenient. I've been sticking to my diet for a year now because I got used to it and it would be so nice to have these containers to help especially when I'm on the go. I love that it keeps everything fresh and crisp! Oh and thanks for the snack ideas as well. I love these snack ideas that you shared! There's nothing better than eating healthy even when you're out and about! I'm definitely thinking about getting these containers, for me and for my kids! I'm glad you listed cereal. I thought I was the only one who carried that stuff around lol! I do buy string cheese and pretend it's for the kids. ;) These are all great snack options. I love ANYthing by Rubbermaid! I love the extra space for dip. I am always needing on the go snacks. Veggies are my fave snacks. That Salad & Snack Set is a must have. Too sad, we're not in US to join the giveaway. Lucky winner! Fruit is one of my favorite snacks. I love being able to have different varieties throughout the year. I also love munching on some cheese and crackers occasionally. It can feel decadent during a crazy day. Rubbermaid is the only container brand we use at home. They are safe and keep our food fresh, plus they are stylish! I like to have carrots, walnuts, hummus, cucumbers I adore and apples. I need to look for these Rubbermaid containers out in the store! Thank you for the ideas & i am entering this giveaway! Those containers look perfect! 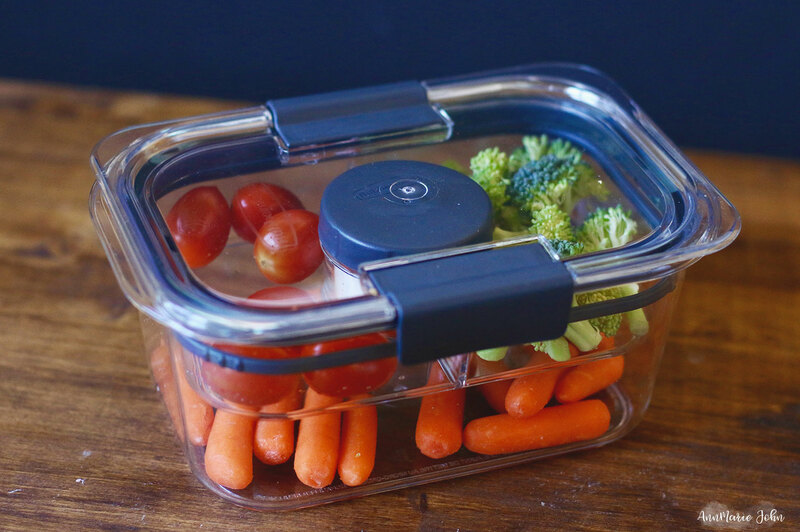 I am always looking for good containers for my husband's lunches and my on the go snacks. I will have to grab some of these. I love these Rubbermaid containers! They are really great for taking snacks or lunch along. Food seems to stay fresher in them. On the go is when I eat the worst! 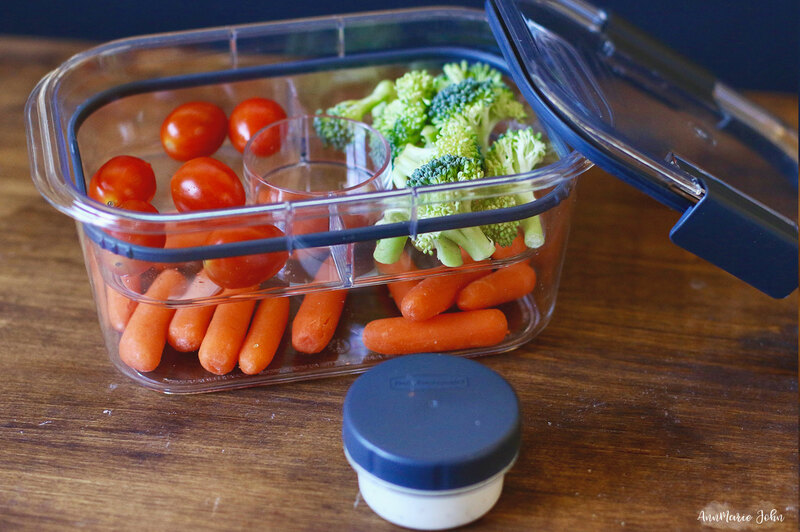 These Rubbermaid containers are fantastic to help preparing snacks ahead of time! Oh, rubbermaid has upped their game! I love the look of the new containers~!